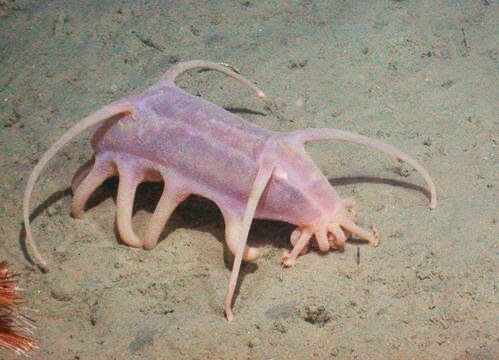 Sea pigs are deep sea holothurian echinoderms of the Scotoplanes genus. They can be found in deep ocean bottoms in all major oceans, at depths of 1000 meters or greater. 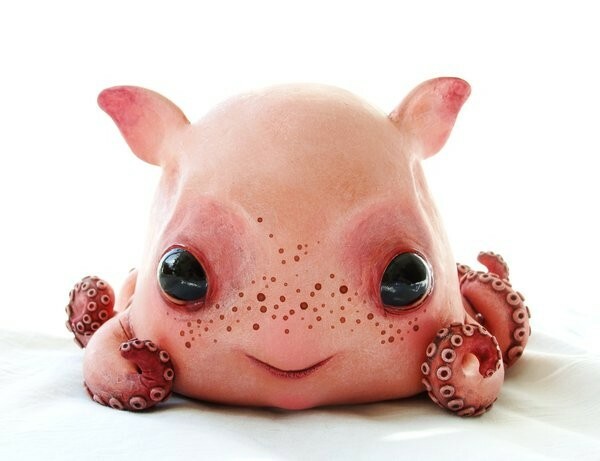 the octopuses of the genus grimpoteuthis are sometimes are nicknamed dumbo octopus.